August | 2015 | Rebecca Mendelsohn, Ph.D. 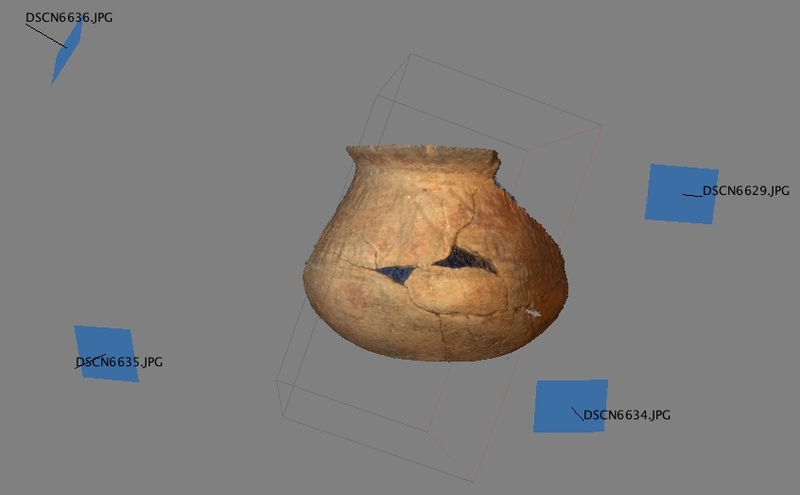 This season while working in the New World Archaeological Foundation lab in San Cristobal de las Casas, Chiapas, I worked on a side project creating 3D models of complete and nearly complete vessels recovered during the 2014 Izapa Household Archaeology Project excavations. The vessel depicted here is half of a miniature jar dating to the Early Classic period (ca. AD 200-400). The model was created using close-range photogrammetry, a process that uses digital photographs taken from different positions to create a 3D model. For more on photogrammetry, see my page on 3D methods. This model was created by taking pictures with a small point-and-shoot camera (Nikon CoolpixS9500) and was processed using Agisoft’s Photoscan software. To help the program match points (to help overlap the photos taken from different angles) I included “targets” in all of the photos. Targets used here included 2 clothespins of different shapes and sizes and a 10 cm scale bar. Photos were taken around the vessel from 17 different positions. These are marked in Photoscan by the blue rectangles indicating the photo number. With the help of Photoscan, you can make 3D models quickly and at a low cost with simple materials. 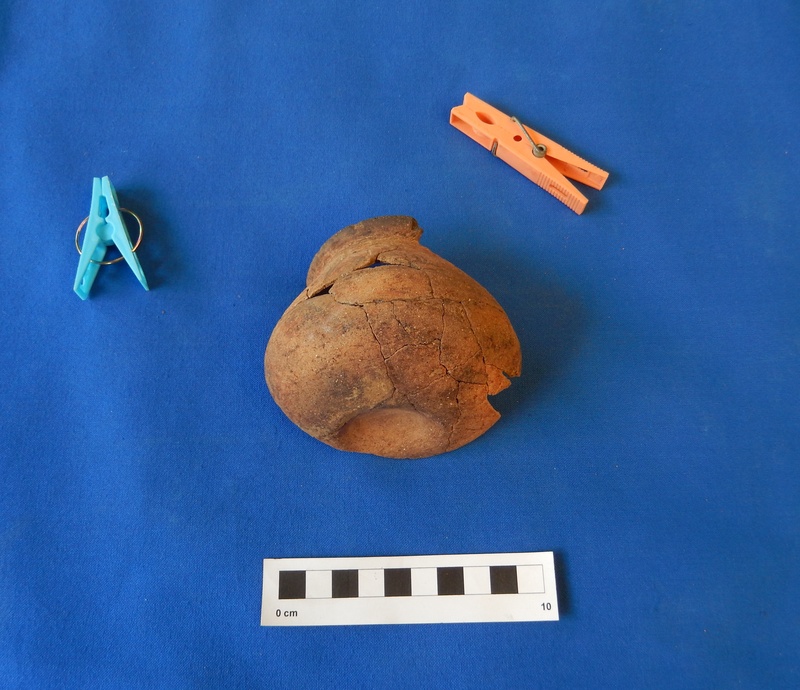 In addition to having digital models of the vessels for presentation purposes, I hope to use a 3D printer to create replicas of these digital models that can be returned to members of the Izapa community.